I have been searching blogs and pinterest for days looking at Agendas with tabs and ways to organize my life into a binder so I finish projects, arrive at appointments on time and reach my goals. Since I am a painter, it was important to me to find free printables that appealed to my aesthetics. 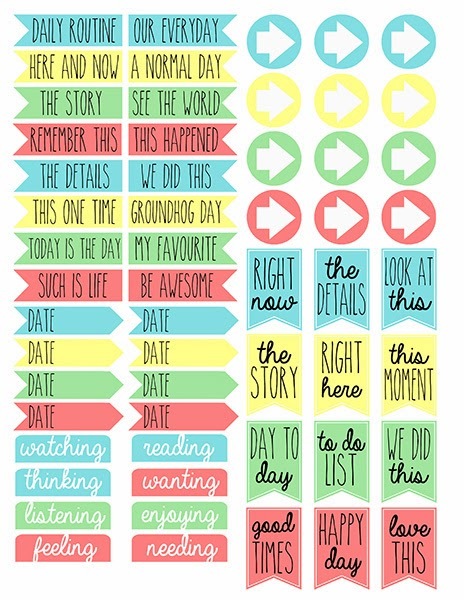 I am so happy I found your downloadable tabs and labels, I love them and think you did a wonderful job designing them. Thank you so much for sharing your work with us. Barbara Roth www.barbararothanywhereart.com P.S. Please let me know if there are any paintings or illustrations I can share to help you. Happy holidays! These are great thanks for sharing.. If you read this and remember the font you used in the "right now" banner I'd love to know.. thanks! Hi Beth, I just tried too and it won't download :( Is there an issue that you've heard about recently? Could you email files to me as well? Having trouble downloading. Just sent you an email because I can't download the files either! Thanks so much for designing these. could you please email me to wulan.lunar@gmail.com ? I could not download all the cute printables you have. I can't download these either. Please help, thanks! I can't download these either.